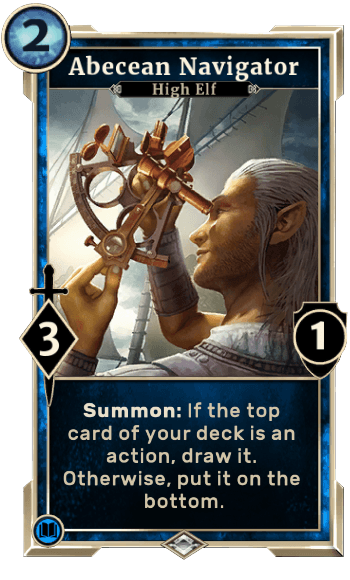 Abecean Navigator is a Card in The Elder Scrolls Legends. Summon: If the top card of your deck is an action, draw it. Otherwise, put it on the buttom.